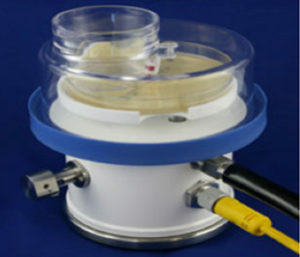 Based on USP  Based on USP  Guidance, to be effective May 1, 2008, Air Viable (microbial) particulate counts are required along side Total Air Particulate counts for Sterile Compounding Facility Certification. 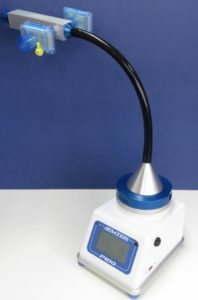 With the R2S or RAS Air Samplers alongside your total air particulate laser particle counter, you can meet both of these requirements. With the R2S, or RAS you can monitor bulk production, or support rooms (i.e., ISO 7 and ISO 8), as well critical ISO 5 environments (i.e., Rooms, LAF Hoods and Isolator Barriers) with the knowledge that you won’t add additional contaminants to that environment. 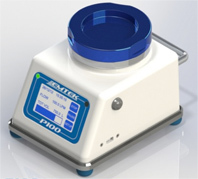 The V100 Air Sampler Controller is our Premiere sampler controller which will operate our R2S, RCG and RAS Air Samplers, at flow rates of 28.3, 50, and 100 LPM. 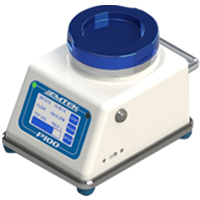 The V100, in conjunction with your choice of air sampler, and flow rate, are ideal for meeting your environmental monitoring requirements for your ISO 6 through ISO 9 Production Areas, as well as In-Process monitoring of your critical ISO 5 Rooms, Hoods and Isolators. 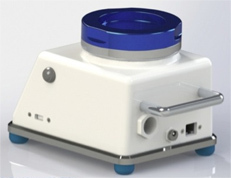 The P100 Microbial Air Sampler offers two CPU controlled sampling rates, 28.3 LPM (1 CFM), and 100 LPM, to allow for continuous monitoring of critical processes, or to take quick cubic meter “grab samples”. 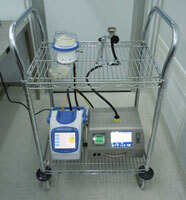 The sampled air volume is HEPA filtered prior to being exhausted at the unit, or remotely through optional attachments. The unit may be operated directly via its user-friendly LCD/Touch Screen interface, or through your Network (LAN) via PC based software, which allows for full operable control of all units connected to your Network. 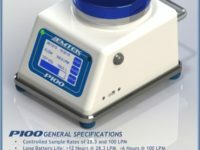 Contact EMTEK to learn about our new High Pressure Diffuser (HPD) for sampling of compressed Air/Gas Systems for Microbial Contaminants with our P100, or V100/RCG Microbial Air Samplers and/or Total Particulates via Laser Particle Counter. The new HPD is Electropolished 316SS & allows for HEPA filtration of the exhausted volume. 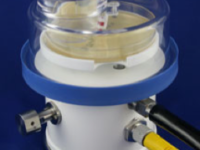 The unit can be autoclaved, or chemically sanitized for Microbial Testing of critical systems. 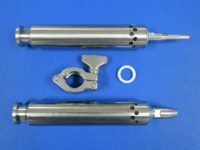 The filtered exhaust also greatly reduces the output decibel level of the HPD. The HPD can be configured for testing at 28.3-50, or 75-100 LPM sample rates. 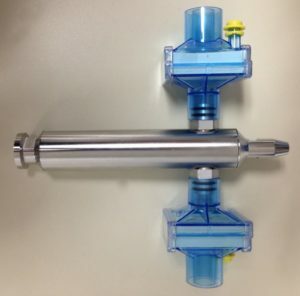 Unique compressed air/gas sampling device which allows for attachment and sampling of a compressed air/gas system with the use of unique autoclavable microbial high pressure diffuser.The diffuser works in conjunction with EMTEK’s P100 or V100/RCG compressed air/gas sampler package. 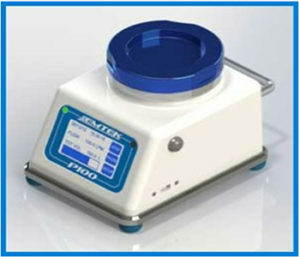 For testing of Industrial Compessed Air/Gas system with adequate volumetric flow and pressure. The HPD body can configured for testing at 28.3 or 100 LPM with the P100, or 50 or 100 LPM for the V100/RCG. When working in a sensitive environment, it is critical to use the right equipment. Your first priority should always be preserving the quality of the environment surrounding your workspace, as environmental stability can make or break any number of critical. 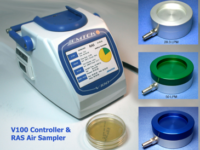 A microbial air sampler is a critical component of any Quality Control (QC) lab associated with Pharmaceutical, Biotech, and Healthcare facilities. 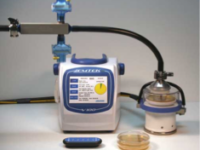 Not only do samplers protect your work environment and ensure that there is no contamination in your processes. 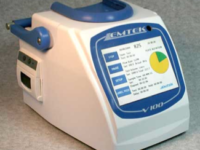 Air sampling equipment is designed with a specific purpose in mind, but many purchasers do not realize that the differences between different air samplers can be major factors in the appropriate testing and control of their environments. 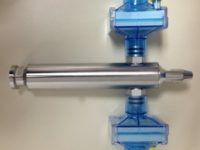 Simply put, some air monitoring equipment are not fit for operation.